Following reports that Peter Mayhew had dropped out of an upcoming convention appearance due to filming commitments, speculation began running rampant that it more than likely had something to do with him making a return as Han Solo’s iconic Wookie partner Chewbacca in J.J. Abrams’ Star Wars Episode VII. 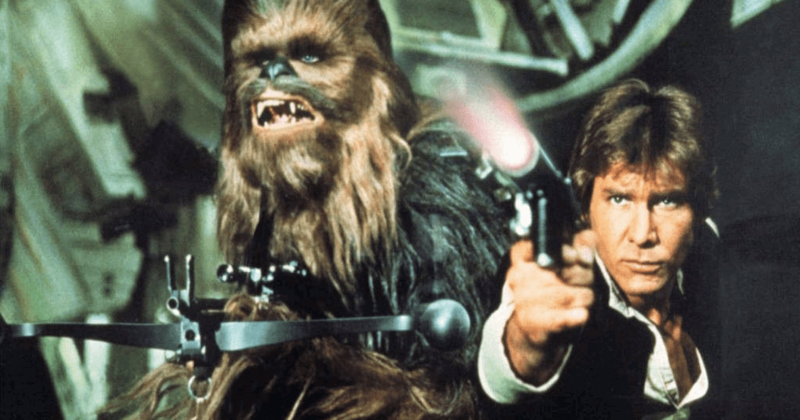 Well, The Hollywood Reporter has now confirmed that Mayhew will indeed be back as Chewie, making him the latest original cast member to be linked to the highly anticipated sequel. If previous reports are to be believed, he’ll join Harrison Ford, Carrie Fisher and Mark Hamill, along with new cast members Adam Driver and Lupita Nyong’o. Who else will be there alongside them in Star Wars Episode VII remains to be seen, but Disney chairman Alan Horn recently revealed that the new Star Wars movie has begun filming and that most of the cast is set. We just don’t know who they are as of yet! Horn also confirmed that the screenplay is finally at a place where they’re happy to move ahead. Considering the fact that the movie is shooting in Cairo, you would really hope that’s the case! This latest attempt was written by Lawrence Kasdan and J.J. Abrams, following an early draft by Michael Arndt. Mayhew also played Chewbacca in controversial prequel Star Wars Episode III: Revenge of the Sith, so fans haven’t had to wait too long to see him suit back up as the fan favourite character. Here’s hoping that the script and cast being in place means that any worries about Star Wars Episode VII can now be put aside as we count down the days until its December 2015 release!